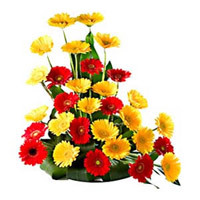 This flower basket consists of 24 bright and beautiful Red and Yellow Gerberas. Bring a bright smile on the face of your loved ones. 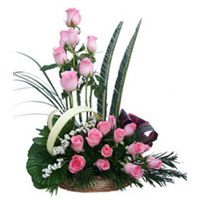 The Perfectly Pink Rose Bouquet is a symbolic expression of gratitude, grace and appreciation. 30 Stems of our finest. 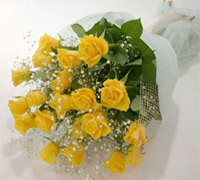 Bunch of 30 Yellow roses wrapped with net and a ribbon bow.. 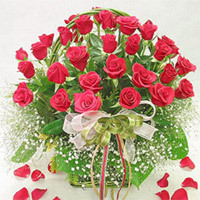 Delight your loved one with this enthralling collection of 30 large red roses bunch . 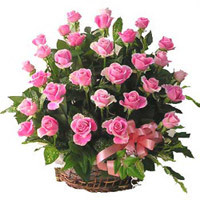 Basket of 30 Pink Roses surrounded by Gypsophila in a Basket. 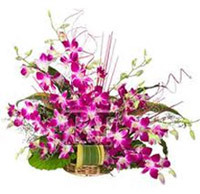 Send this enchanting flower basket. 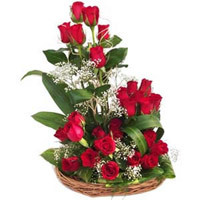 30 Red Roses in around basket with geenary and fillers Flowers have the innate ability to brighten up the day of your lady love. 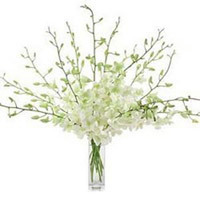 Send an arrangement of 10 White Orchid in a Glass Vase . 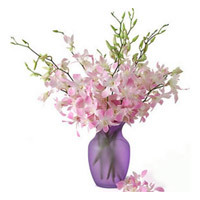 12 pink orchids come in a vase. So send this vase. 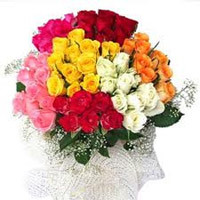 50 Mixed roses bunch in full bloom are beautifully arranged in this flower bunch.. 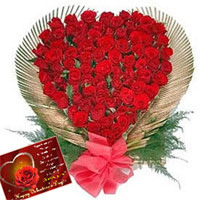 Bunch of 50 Red Roses, the best symbol of your love.. This flower arrangment of 50 roses has earned an apt name owing to the spectacularly arranged fresh red roses coupled with the gypsophila and greens. 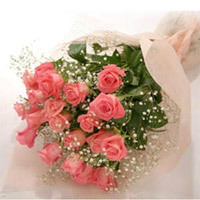 50 pink colored long stemmed roses, Pink Beauty, is the ideal gift for someone who is very special to you in India. 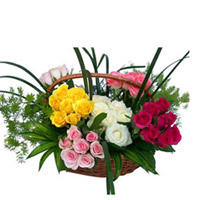 Arranged in a basket, the greens add to the beauty of this floer arrangement..
100 Red Roses in a Basket. 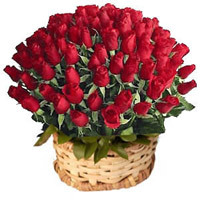 Send these 100 lovely Red Roses in a basket to your dear ones in India and make their day truly memorable. The bright and vibrant color of the roses will definitely cheer up your loved one in no time..
100 Red+yellow+white+pink Roses Basket Roses surrounded by Gypsophila in a Basket. Roses in a Heart Shape Arrangement. 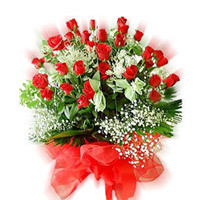 Send this wonderfull arrangement of 100 Red Roses in a Heart Shaped arrangement to your loved ones in India and heighten their celebration. 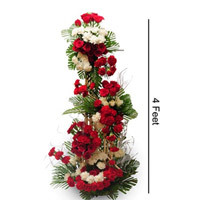 Make their every moment memorable with this life size arrangement of 50 red and 50 white roses - 3 feet height. 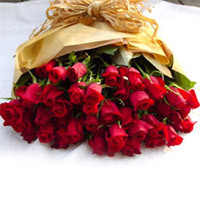 100 Red roses will add to the aura of any occasion. 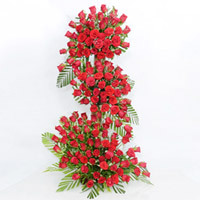 With a height of 2 to 2.5 ft. Life size arrangement of 100 Red roses with mix seasonal fillers.